Can you imagine a time when the Willamette River ran red? When healthy fish died within minutes of being released in its waters? When liquid waste and sewage flowed toward the Columbia from Eugene, Corvallis, Salem, Portland and all of the towns in between? This is what the Willamette and many of Oregon’s rivers looked like before the Clean Water Act was passed in 1972 to restore and maintain the integrity of the nation’s waters. This landmark federal law put the brakes on using our rivers as a dumping ground for untreated industrial waste, toxics, raw sewage, and runoff from cities and farms. It allocated funding for the development of publicly owned waste treatment facilities so that when you flush your toilet and wash your clothes, that water gets filtered and cleaned before returning to the river and ultimately, the ocean. It required states to create management plans to control pollution and protect our waters for uses such as swimming, fishing, and drinking. 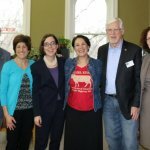 This law gave Oregonians a tool to create change. Wednesday, Oct. 18, marks the 45th anniversary of the Clean Water Act! OEC is joining Environment Oregon, Oregon League of Conservation Voters, and Willamette Partnership for a celebration of the progress we’ve made toward cleaner lakes, rivers, and streams, and a discussion of the work that still must be done to make sure every Oregonian has access to fishable, drinkable, and swimmable waterways. Learn more about the event at Laurelwood Public House & Brewery here. Keeping sewage out: The City of Portland’s Big Pipe project was an outcome of a Clean Water Act lawsuit brought by Northwest Environmental Advocates in 1991. The project dramatically reduced the amount of sewage that regularly overflowed into the Willamette River during the rainy season and opened the door for public beaches and swimming opportunities being developed today. Protecting the human right to fish and be healthy: In 2011, driven by the Columbia River Inter Tribal Fish Commission and tribal advocates, Oregon adopted some of the country’s strictest water quality standards to protect human health, taking into account for the first time American Indians’ higher rates of eating fish. Eating more fish from Oregon waterways exposes people to more toxins found in fish that can cause cancer and affect immune, reproductive and nervous systems. These new state standards cut the allowable levels for 113 pollutants, including mercury, PCBs, dioxins, plasticizers and pesticides. Spurring innovation and collaboration: One of Oregon’s most widespread water quality challenges is temperature – our rivers are too warm, causing harm to endangered salmon and increasing toxic algae blooms. But thanks to the Clean Water Act, cities and businesses have gotten creative about how to meet temperature standards, and some have started pollution trading with their upstream neighbors to improve the overall watershed. 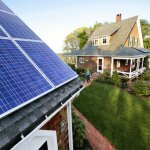 These deals allow polluting entities to offset the temperature effects of their outputs by replanting native trees and vegetation that historically shaded streams, keeping water cool for fish and wildlife, and helping prevent runoff from farms and city streets. Preventing degradation of pristine waters: In July 2017, the Oregon Environmental Quality Commission approved the first Outstanding Resource Waters designation in all of Oregon, Washington, Idaho and Alaska. Under the Clean Water Act, the state must now ensure the pristine waters and critical Coho Salmon habitat of the North Fork of the Smith River Watershed are protected from any future degradation. But our rivers still need help! ThinkProgress.org, Sep. 8, 2017: Relentless wildfires threaten supplies of drinking water in western U.S.
OEC has been working to protect the waterways we love since 1968, before the Clean Water Act was passed. Today, we are dedicated to improving programs and protections at the state level that carry out the federal law for the benefit of Oregonians. As we celebrate the 45th anniversary of this important law, our next big task is bringing people together to build the will to act on solutions to today’s water problems. We need to push Congress to fund programs to protect clean drinking water, and where there are gaps, we need to be ready to step up and invest as a state in the health of our children and future generations. Healthier rivers support clean drinking water, traditional food sources, fishing and shellfishing jobs, and an outdoor recreation industry worth billions, delivering economic benefits to our communities. Now is not the time to slow down or rollback the fight for clean water. 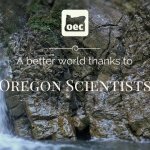 2 Replies to "Celebrating 45 Years of Clean Water"
Oregon Environmental Council | What does clean water mean to you?